This case was designed for Los Alamos National Laboratories as a portable testing workstation. 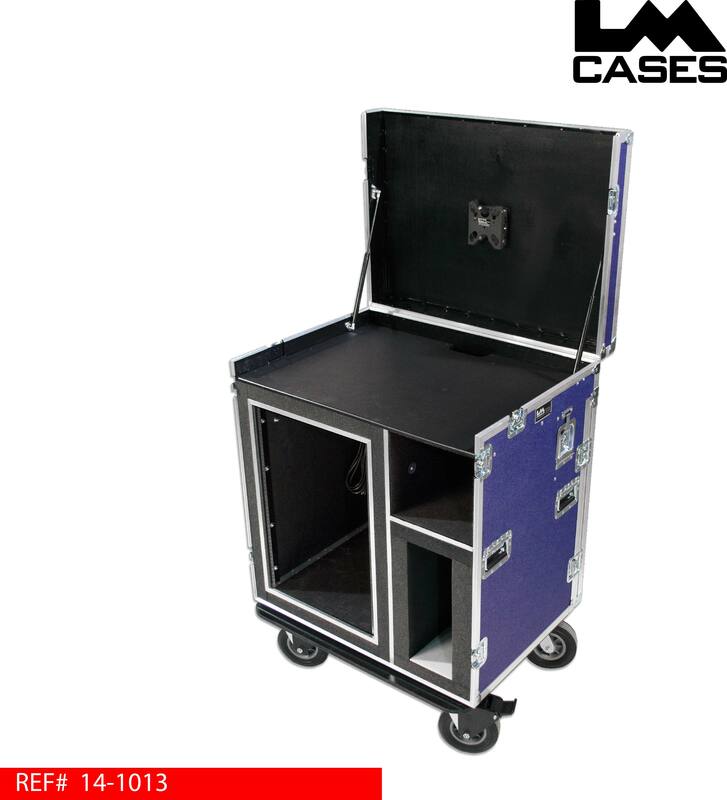 The case holds a monitor mounted in the lid, a 16RU shockmounted rack section and a custom foam lined compartment for the Dell computer. 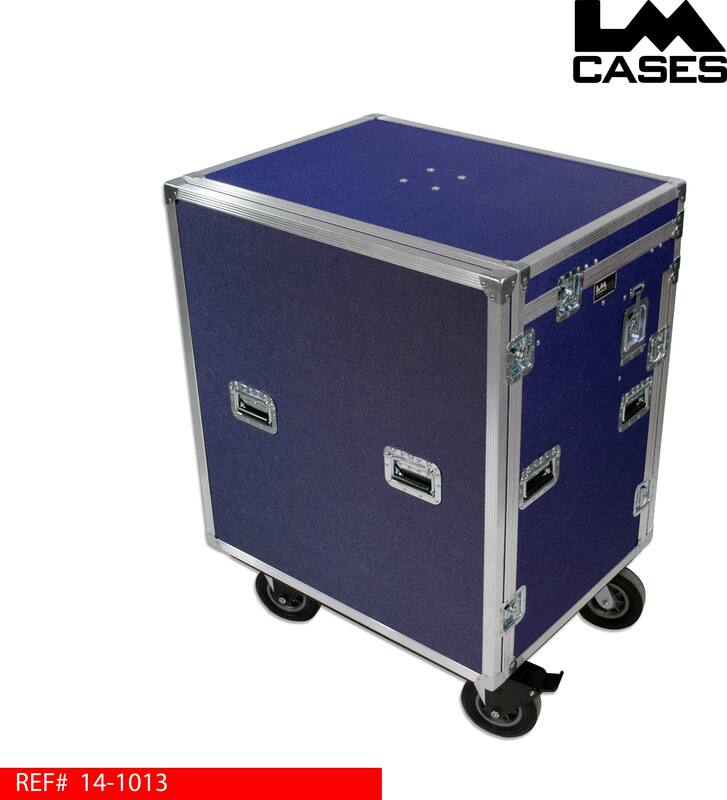 The case lid features a tilting Chief FTRV mount installed in the center. The lid is held open via gas springs to ensure it cant be accidentally closed when in use, the gas springs also aid in the opening and closing of the lid by offsetting the weight. 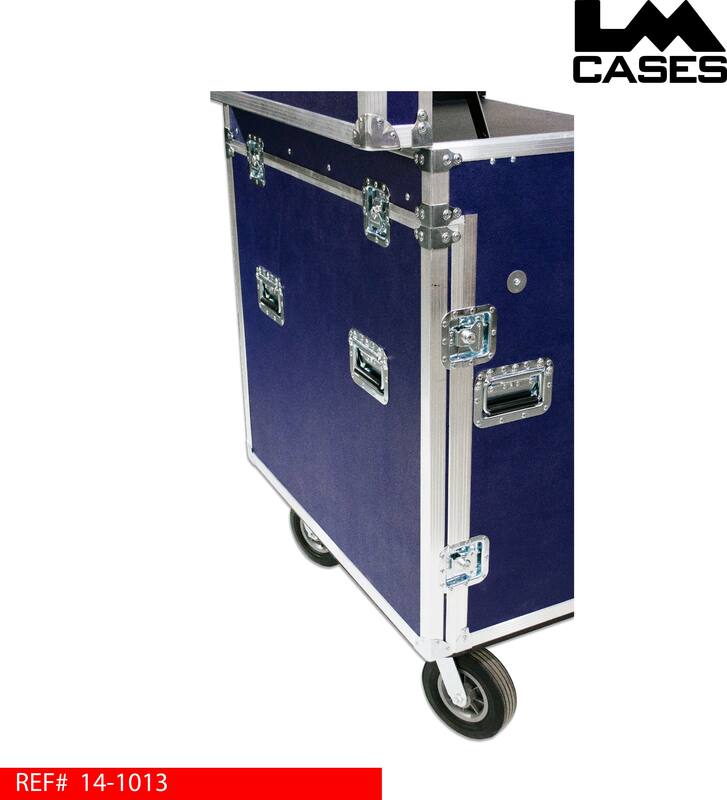 The work surface of the case is laminated with black Formica to provide a smooth writing surface. Below the work surface is a 16RU shock mounted rack featured 24" of rackable depth. 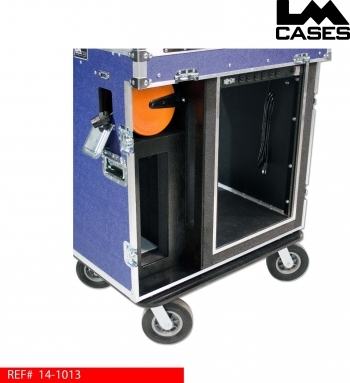 The rack also features a 12 outlet Tripplite power distribution unit mounted on the rear rails and a retractable 30' extension cord reel allowing for an additional auxiliary power output. 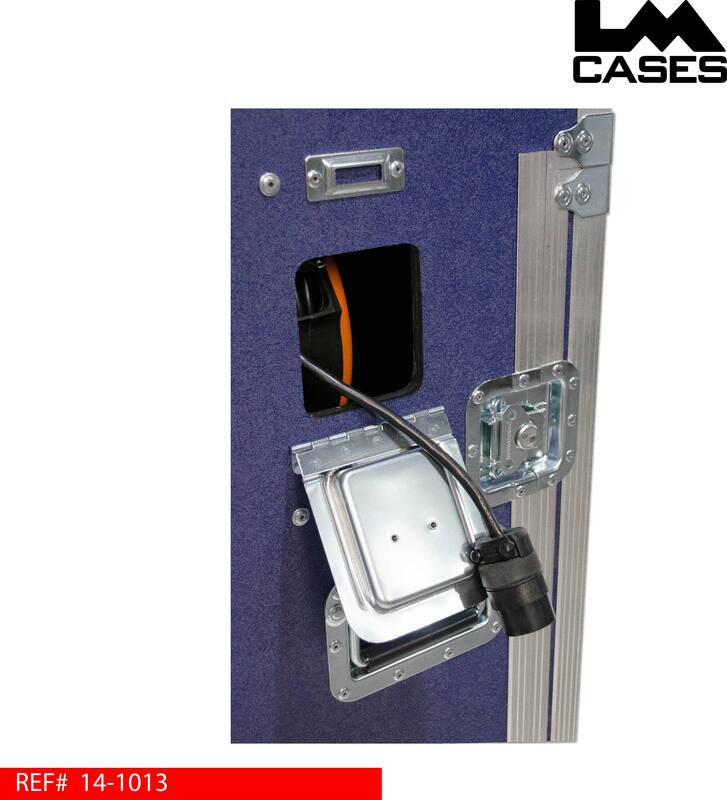 The extension cord reel, Tripplite PDU, and monitor mount were provided and installed by the LM Cases Custom Integration Department. 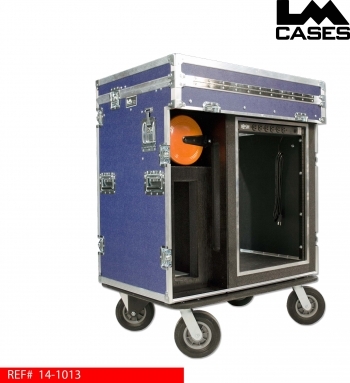 The exterior case is built out of 1/2" plywood laminated with dark blue ABS plastic, deep recessed handles and 8" field casters. Special thanks to Los Alamos National Labrotory!